While General Electric employee Nick Holonyak, Jr. is recognized as the first person to invent the visible spectrum light emitting diode (LED) in 1962, they didn’t become everyday mainstays for the general public until the last decade or so. Now, LED lighting technology has been forecasted to account for 61 percent of all global lighting by 2020. 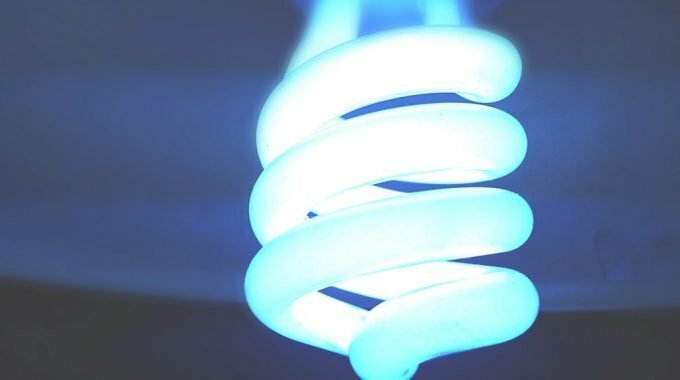 That statistic is not entirely surprising when you take into consideration that, according to the Department of Energy, LEDs not only require 75 percent less energy than their incandescent lighting counterparts, they also last 25 times longer. However, that doesn’t mean that LED technology’s usefulness and top tier benefits go no further than energy efficiency and the bottom line. In fact, LED lighting technology has been found to positively impact not just the ecosystem and economy, but individuals themselves in a variety of vital and powerful ways. It has often been cited and long known, that lighting has a perceptible effect on your mood, but it is now becoming apparent that LED lighting can affect you physically as well. An instance of this can be found in the use of blue lighting. Studies on biofeedback have determined that our eyes are particularly susceptible to blue light in that it suppresses melatonin, which is integral to healthy sleep. This is why it is recommended to avoid blue light sources (which can be emitted from everyday devices like phones and tablets) when trying to fall asleep. On the other side of the spectrum, LED lighting technology can utilize the effect of blue light to encourage wakefulness, and the effect of lower blue light wavelengths to induce a level of relaxation. This can be considered human centric lighting that complements our natural circadian rhythm. Better surface illumination, which improves visibility and reduces eye strain. Elimination of fluorescent light “flickering,” which has been linked to recurring headaches. Greater color clarity and improved visibility in older individuals who suffer from the yellowing of their eye lens that affects their ability to recognize and discern colors. Soft, dim lighting is connected with slower eating and less consumption, which can affect your weight and overall health. Bright lights induce heightened emotions, prompting more emotional and impulsive decisions. They are often used by retail stores to induce shoppers to make split decision purchases. Cool light color promotes focus and concentration on tasks and projects. Fluorescent lighting emits a radiation that is linked to the radiation stress condition associated with hyperactivity, whereas LED technology reduces this radiation. Once researchers found a correlation between LED technology and physical and cognitive wellness, they realized the capacity to which it could also benefit mental health. As discussed regarding sleep-inducing melatonin, specific light wavelengths also have the ability to increase serotonin levels in an individual. A vital chemical and neurotransmitter in the body, serotonin levels are linked to the regulation of mood, memory, sleep, and social behavior, as well as appetite and digestion. Increased levels of serotonin lead to increased psychological well-being. Proper LED technology can provide a solution to low serotonin levels without introducing pharmaceutical intervention by way of selective serotonin reuptake inhibitors (SSRI drugs), which interfere with the metabolization of serotonin. Studies have found that serotonin levels can be improved at the same rate provided by SSRIs when individuals are exposed to specific light sources. Seasonal Affective Disorder (SAD) is a common but often debilitating disorder that occurs when a lack of light during fall and winter affects an individual’s mental chemistry to a degree that they feel listless, pessimistic, and depressed. LED lights can combat this issue by providing a source of light that mimics natural sunlight. Bright lights have been found to intensify emotions, though not always in a positive way. If an individual was already experiencing negative emotions, bright lights will make those emotions stronger. Warm, less intense LED lighting can regulate these emotions. With the number of findings connecting LED lighting technology to healthier and happier individuals with higher levels of mental acuteness, it seems only logical to create a way to ensure these benefits are being utilized to their utmost capacity: enter human centric lighting. What is human centric lighting? It’s the use of dynamic and tunable LED lighting to control not just the color of the light, but its intensity to create customizable environments in which individuals can be their best. Have tunable fixtures and smart lighting controls installed to manage intensity and correlated color temperature (CCT). Implement a scheduling device within the controls which can be specific to the room or part of the building’s greater lighting control system and has the ability to synchronize the lighting cycle automatically in correlation with astronomically based event times. This enables the building to emulate identical natural lighting conditions. Integrate a multi faceted lighting system in which occupancy sensors and photocells have the ability to automate light levels and conserve energy. Optimize systems to enable manual overrides when the environment needs adjustments. The uses of this revolutionary LED lighting technology to create positive change in physical and mental health, as well as to promote advanced cognitive thinking, are vast and versatile. Rather than rely on complex wellness fads, forced mechanisms to increase productivity, and chemical altering prescription drugs, LED lights provide proven methods that imitate naturally occurring light. Whether it’s increasing productivity and awareness of employees in a business, enabling physicians to more easily hone and manage their skills during surgery, or encouraging better learning and sharper attention in students at school, human centric lighting is the future.